Photo: Emily Jones, founder of Rooted Leather. Used by permission. Meet Emily. Best friend extraordinaire, Rooted Leather business owner, a work-from-home designer and mom to three athletic boys who need a dedicated sideline enthusiast and shuttle bus driver. She does it all with gusto, friends. The world of social media has opened doors for stay-at-home parents like Emily to become small business owners and launch products from their homes, all while babies nap upstairs. Do you know anyone like her? Does her work and life routine mirror yours? As I type this, I’m carrying two leather purses Emily designed (when your best friend makes leather purses, you buy them.) 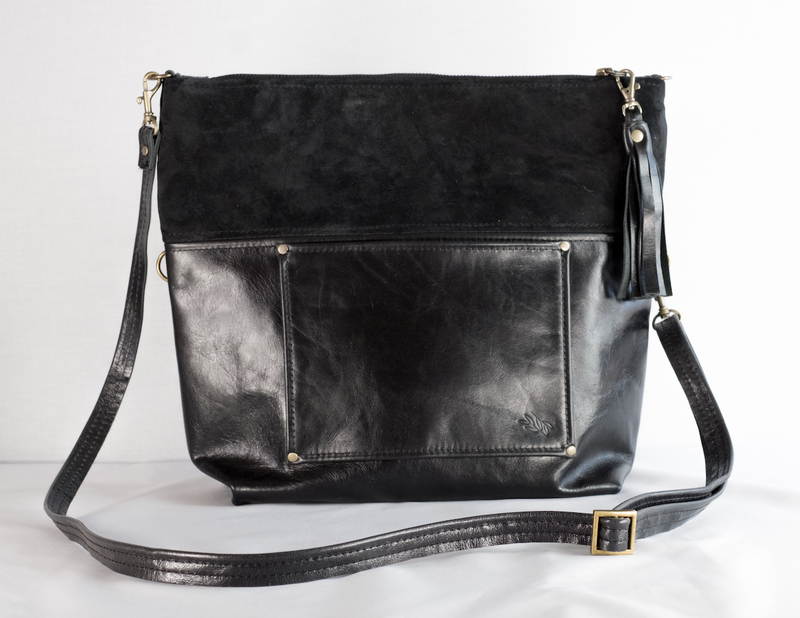 Her business started with a beautiful idea; to line quality leather bags with meaningful fabric (a baby’s onesie, a grandpa’s tie). 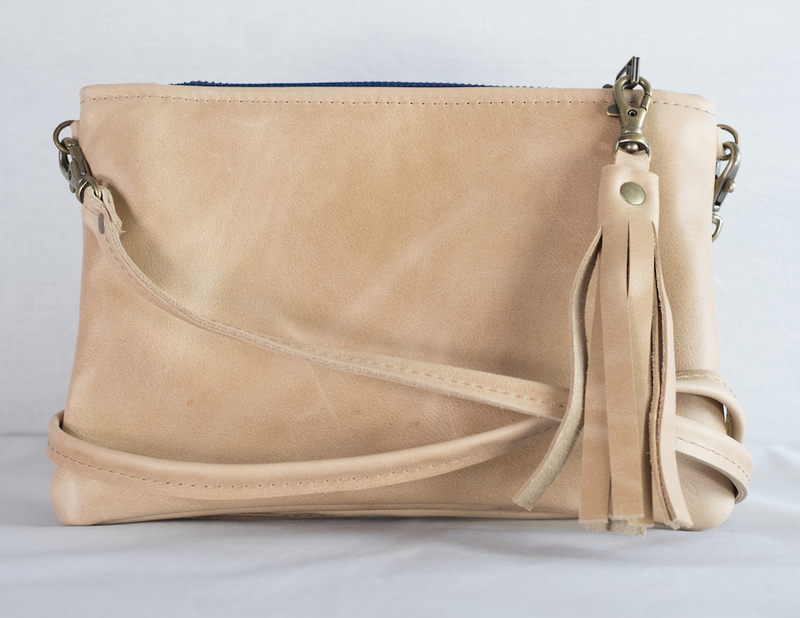 Within months, I witnessed the first shipment of gorgeous leather bags, “lined with love,” to astonished recipients. 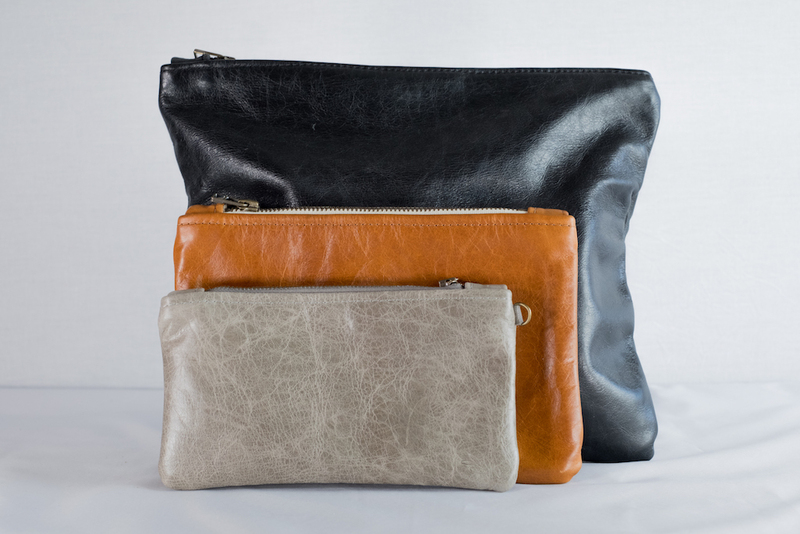 Her purses bring people to tears; the products she makes are pieces of art that are meaningful to each owner. And she does it all from her basement; podcasts streaming, sewing machine humming, babies sleeping. Focus on the good things that are happening in your own business. Did you get a great review? Amazing! Scored a fun collaboration with another business? Incredible! Stay in your own lane and keep moving forward. Do you have an idea? A business concept? A product to launch? Or even the simple drive to create? Here are some tips from Rooted Leather’s Emily Jones on how to get started without losing your sanity. Launching a small business from home while juggling children and daily life is a process. It’s important to remember that building something that lasts won’t happen overnight, and with only a small amount of time that you can dedicate to growing your business, you really have to be careful about how you spend your valuable energy. So pace yourself! Take your time, be intentional and set realistic expectations on how fast your business will grow. This is always great advice, but fellow entrepreneurs, please be careful. Don’t compare your business to others. Take, for example, your social media accounts. It can be really hard to watch your “followers” slowly creep up and then drop dramatically, while your competition’s numbers double overnight. It can unnecessarily consume your time and attention. Focus on the good things that are happening in your own business. Did you get a great review? Amazing! Scored a fun collaboration with another business? Incredible! Stay in your own lane and keep moving forward. Set manageable goals for your business. Daily, weekly, monthly and quarterly; create a plan that you can follow. And write it all down on actual paper! Not only does it feel great to cross things off your list, but having written goals helps you make decisions about how you use your limited time. By prioritizing what will realistically help you succeed, you can easily say “no” to things that might be fruitless energy zappers. Have you launched a business? What tips helped you move forward and not two steps back? Launching a business and pursuing a creative outlet is very exciting, and it’s easier now than ever to reach customers with social media. So map out a small plan and get started! You don’t have to sprint to the finish. Take your time and let your business fit into your life so that it brings creativity, joy and excitement.